As your new chiropractor in Mesa, we have developed an integrated approach to chiropractic care for your condition, whether it is low back pain, headaches, shoulder pain, neck pain, knee pain or elbow pain. While we can’t guarantee your results, we want you to be satisfied that we’ll do everything we can to help you. If, within 3 visits, you become unhappy with your decision to consult our office, we will refund the money you’ve paid us, and make other care recommendations. Obviously, the healing process will take longer, but during this early stage of care, most patients will see enough progress to complete their plan of care. As your chiropractor in Mesa, our goal is to not only alleviate pain, but more importantly, inspire and educate our patients to become active participants in their own well being. Our focus is to lead patients away from society’s view that health and disease are an “outside” process, and increase awareness that conscious controls comes from within. Of all the chiropractors in Mesa AZ why should you choose Lifecare Chiropractic? 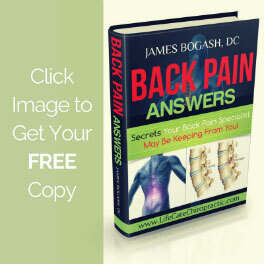 As a chiropractor in Mesa and Tempe, Dr. Bogash completed school with a strong background in nutrition and physiology. 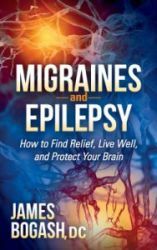 Over the years, he has built on this knowledge by reviewing tens of thousands of peer reviewed medical journal articles looking for research that will help him stay on the cutting edge of medicine, health and wellness. As a result of this research, on these site you’ll find a wealth of information about not just chiropractic care but many other health related topics. With thousands of research articles archived here, a quick search may help give you insight into making informed decisions about your health.